January 8, 2017 would have been David Bowie’s 70th birthday, and a bunch of his old friends, collaborators, and admirers are going to mark that occasion by getting together for a series of tribute concerts all over the world. 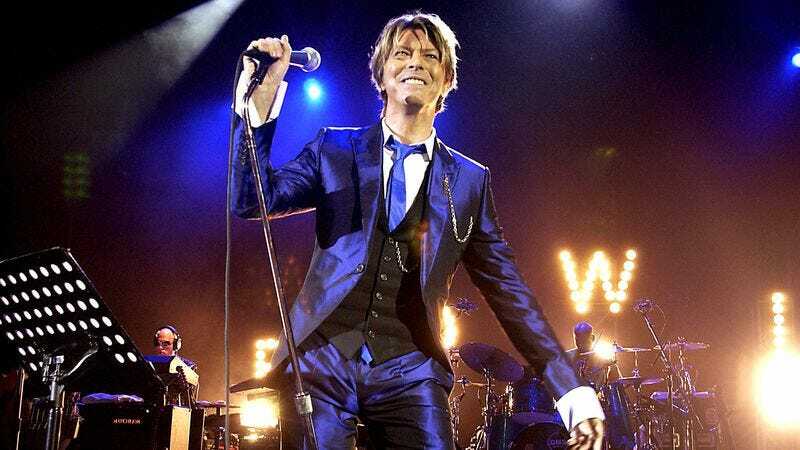 As reported by The Guardian, the idea was inspired by the many impromptu tributes that broke out after Bowie’s death at the beginning of this year, specifically a pair of events in Los Angeles and San Francisco that involved Gary Oldman, Ewan McGregor, Seal, Talking Heads’ Jerry Harrison, and a number of performers from Bowie’s backing band over the years. These new tributes will be held “in locations around the world that have a strong connection with the artist and his music,” which naturally means London, New York, and Los Angeles—three cities with a strong connection to every artist and all music. We don’t know the specifics about who will be performing at these shows beyond some members of Bowie’s band at the London show, but they’ll presumably be announced as we get closer to the new year. In other Bowie news, the graphic designer behind Blackstar (Jonathan Barnbrook) recently claimed that there’s a secret hidden in the artwork that nobody has found yet. That comes from Consequence Of Sound, which says Barnbrook revealed on BBC Radio 6 that “if people find it, they find it, and if they don’t, they don’t,” which presumably means he won’t be giving out any hints. Spin notes that Bowie fans have uncovered a few new things about the Blackstar art, but Barnbrook probably won’t tell anyone if they’ve solved his big mystery anyway.